What shall we tell you? Tales, marvellous tales. Hong Kong today is known as an international metropolis where visitors flock to shop, eat and engage in global high finance. But the history of the territory is really a maritime tale, defined by the city’s harbor, its enormous port, and its surrounding waters. Following the arrival of the British and as a fortuitous matter of natural geography, it became well known as one of the great natural ports of the world, along side New York, Sydney, San Francisco, Rio De Janeiro, Tokyo and others. From it's inception as a British colony it was positioned as a leading trade entrepot serving as a gateway to Mainland China. More recently, certain recent archeological discoveries potentially indicate the role of the region as a way point of greater significance than previously thought, on the ancient Maritime Silk Road often cited as a historical precursor to China's 21st Century One Belt, One Road initiative. The view from Lei Yue Mun Channel. Causeway Bay Typhoon Shelter, an eclectic collection of seacraft located adjacent to an area formerly known as East Point. 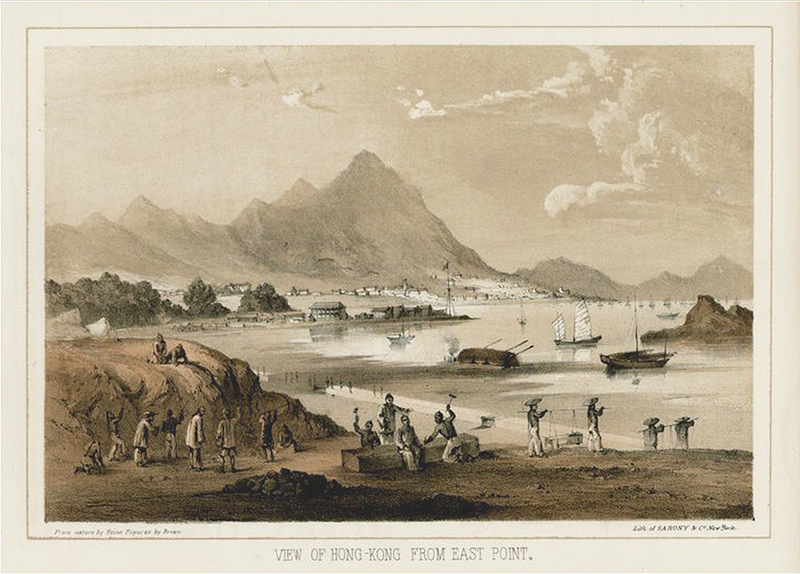 Once teeming with all manner of Eastern and Western style ocean going vessels, Victoria Harbor straddled the daily routines of millions of Hong Kongers many of whom lived on the water and others who commuted to and fro between Hong Kong and Kowloon by ferry. Today, few locals regularly commute by ferry and the harbour sometimes seems strangely devoid of activity. A solitary Star Ferry cruises mid-harbour in the morning fog of Spring. The Pagoda fronting the old "To Kwa" island, which following industrial land reclamation ceased to be an island. This private Hong Kong walking tour covers the story of magnificent Victoria Harbor and its nearby waters by diving deep into history to find out how the port evolved in the modern age. The objective will be to create a private walking tour experience recalling the bygone era captured in the lengthy excerpt quoted above. 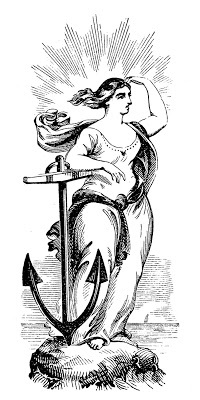 Together we will circumnavigate the center of the harbor on foot, by ferry and via public transportation. 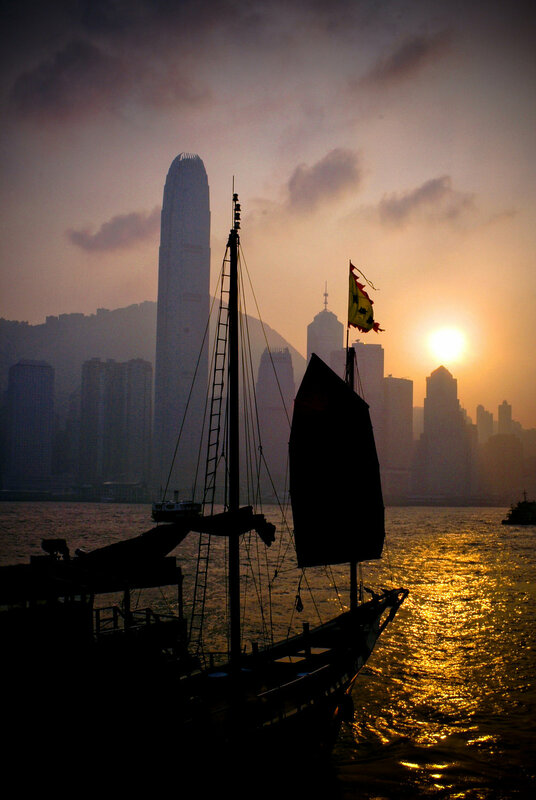 You will learn about and experience Hong Kong through a marine/nautical lens. On the way we will cross and recross the harbor at different points of departure. You will see much more than the views typically seen from the Star Ferry. A Chinese Junk With HMS Tamar Permanently Moored in the Distance. Remind me to tell you about the ghost of Tamar. -The rapid evolution of the surrounding coast line during the post war recovery years leading to accelerated urbanization, coastal gentrification and massive land reclamation. -The anticipated role of the harbor in the integration of the Greater Pearl River Delta region and China's "One Belt, One Road" initiative. 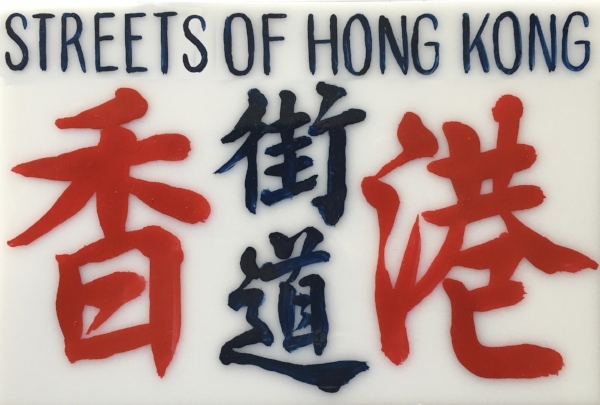 Coincidentally, the Hong Kong Transportation Department recently announced plans to inaugurate new ferry services linking several notable venues along the course of this private walking tour in September 2019. Surveying the center of the harbor from Hung Hom (ferry services directly to Central are planned to be restarted in 2019). Nearby, the shipyard where the Star Ferries were once built and repaired. Naturally, as is the case on all of myprivate Hong Kong tours, there will be plenty of scenic photographic opportunities, not to mention opportunities for street snacking and/or an authentic local meal. We will also visit the Hong King Museum of Coastal Defense. A visit to the Hong Kong Maritime Museum is highly recommended following this tour. And, if you would like to wrap up the day savoring a sunset sail on an authentic Chinese junk, this can also be arranged! I am very excited about this new harbour themed private Hong Kong tour offering which can be tailored to meet your available time (half day, full day etc). I grew up sailing and my Dad played an important role in the containerization of the local shipping industry, which was a game changer. So this is an area that has always been of interest to me. I have read extensively on the fascinating Eastern maritime trade commencing with the Age of Discovery (the spice trade) and the South East Asian coastal trade which eventually found its way to this region. I live one block from the harbor and regularly take clients for scenic and highly appreciated crossings on the North Point Ferry. I also spend plenty of time reminiscing what the harbor looked like when I first set eyes on it in the early 1970s. I know many locales which, with a dash of imagination, still evoke the gestalt of that bygone era. Leave it to me to weave all of the fragments together into a cohesive narrative for an unusual and memorable day! Once again, all Streets of Hong Kong private walking tours can be tailored to meet your special requests. 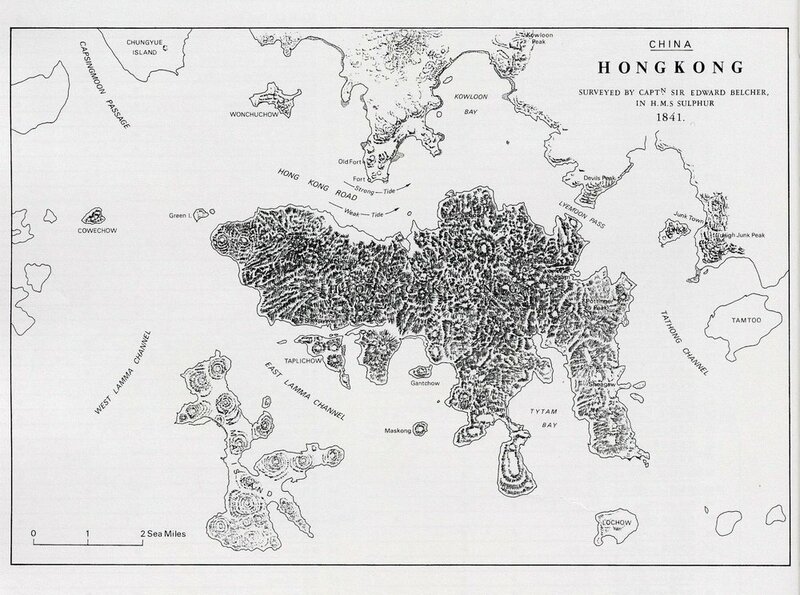 Captain Belcher's map from the first detailed survey of the waters surrounding Hong Kong Island.